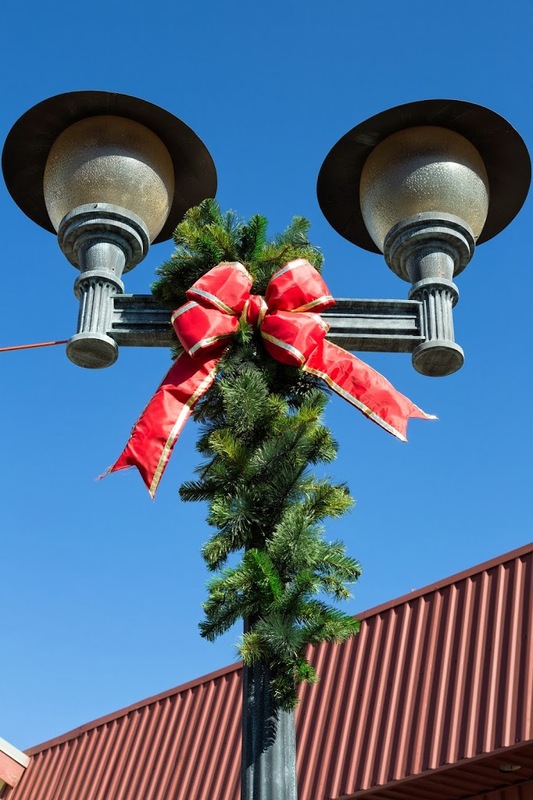 In 2013, Downtown Decorations worked on a holiday décor project for a truly unique location. 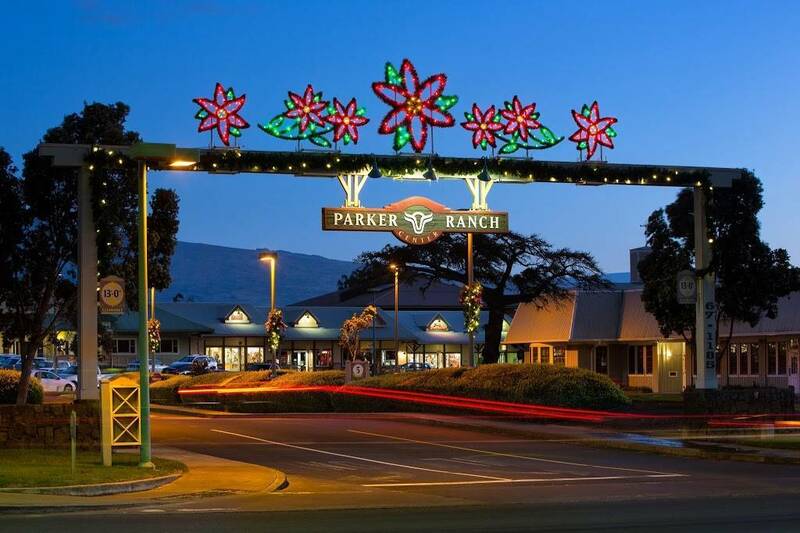 We were contacted to design a custom entrance sign topper and other décor for the Parker Ranch Center, which is a shopping center located on Parker Ranch in Waimea, Hawaii. 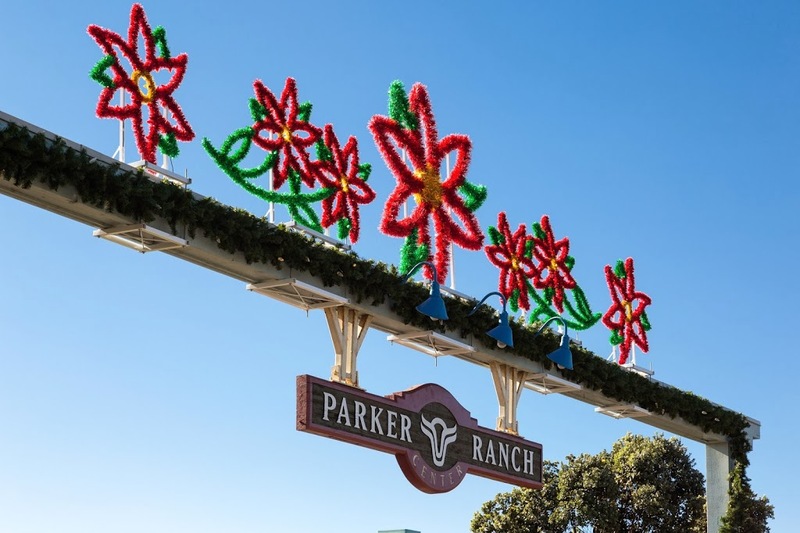 Parker Ranch was founded in 1847 and is one of the oldest ranches in the entire United States. The ranch actually predates many found in Texas and the southwestern US by more than 30 years. 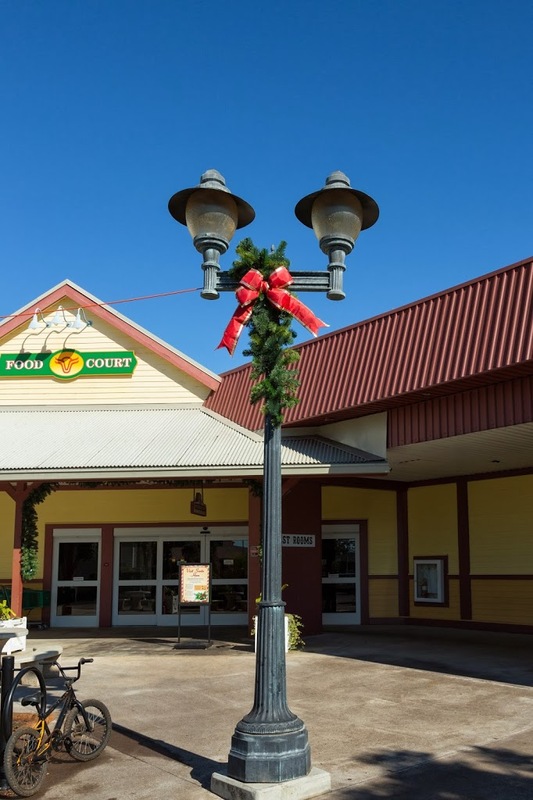 Not only is it one of the oldest, it is also the largest privately owned cattle ranch in the country. The working cattle ranch takes up approximately 250,000 acres and hosts an annual Fourth of July rodeo. The area was also used as a United State Marine Corps training base during World War II. Marines were trained there in preparation for the assault on Iwo Jima. 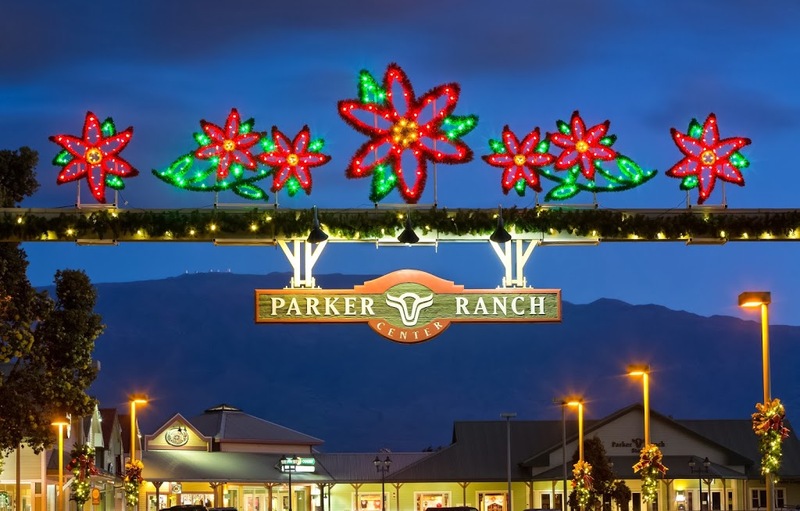 Our designers created the custom sign topper to compliment the incredible mountain landscape surrounding the shopping center. 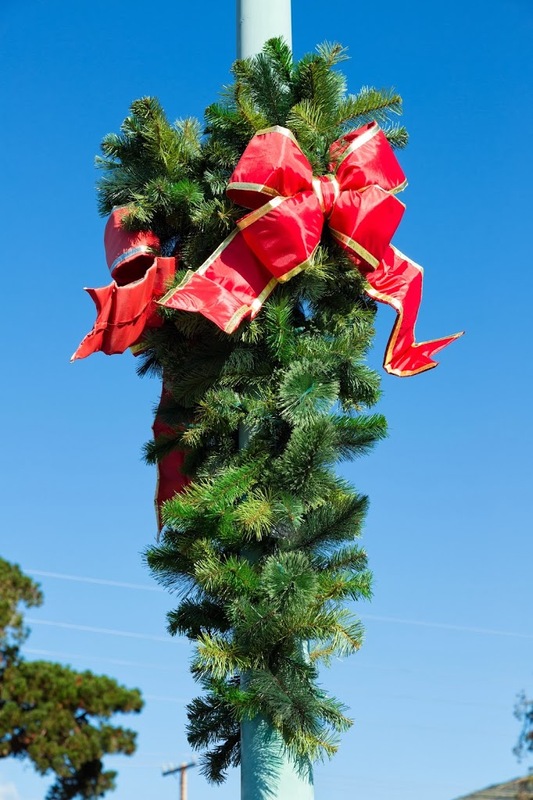 It was also designed with easy installation in mind. 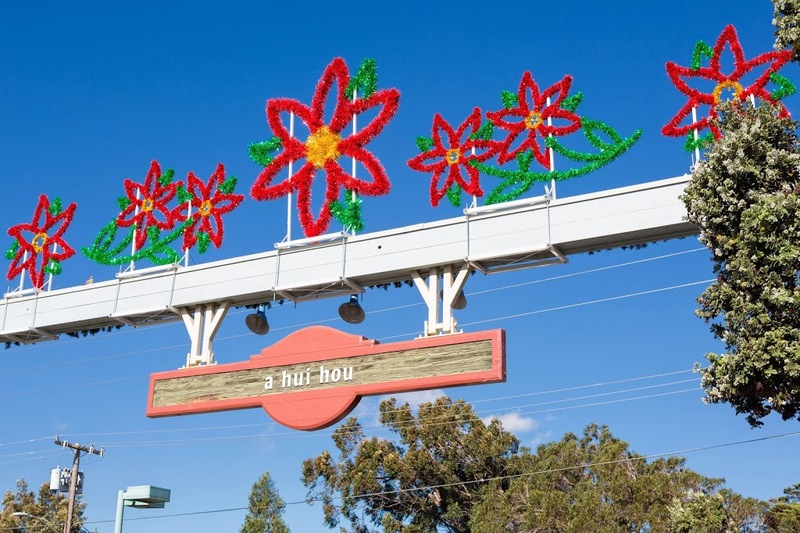 The topper was made to be bolted down on top of the entrance sign and not drilled into the sign. 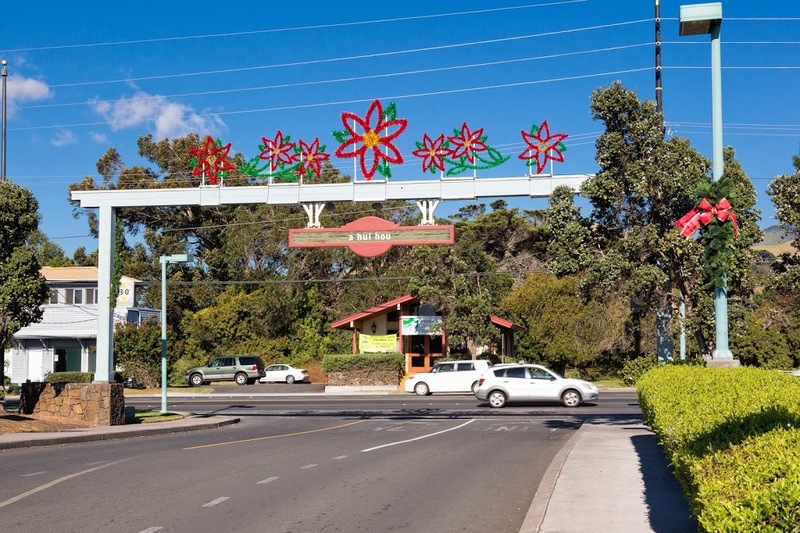 In addition to the stunning sign topper, we also produced a number of sprays decorated with red bows and a strand of lit garland for the main entrance sign.